As our days get busier, I invite you to color two pages in your journal in the most lovely, relaxing, juicy, joyful colors you can think of. On one of the pages, think through and write down all the things that make your days wonderful, or worth living, or “get you through the day”. I’m thinking here of things like “a relaxing cup of tea”, “15 minutes of inspirational reading”, “meditation”, “the quiet in the car on the way home from work”. What are the little things in the day that sustain and nurture you, that help you live a life worth living? Now, on the second page, I want you to choose one word from your list, a word that calls to you, that jumps out at you, or that shimmers in some way. Write that one word in large on your page. If you’re so inclined, make the lettering special, perhaps adding new colors within the letters themselves. Now, resolve that to the best of your ability, you will bring whatever action or quality that word refers to into every day of your life —- or at least until another word shimmers! 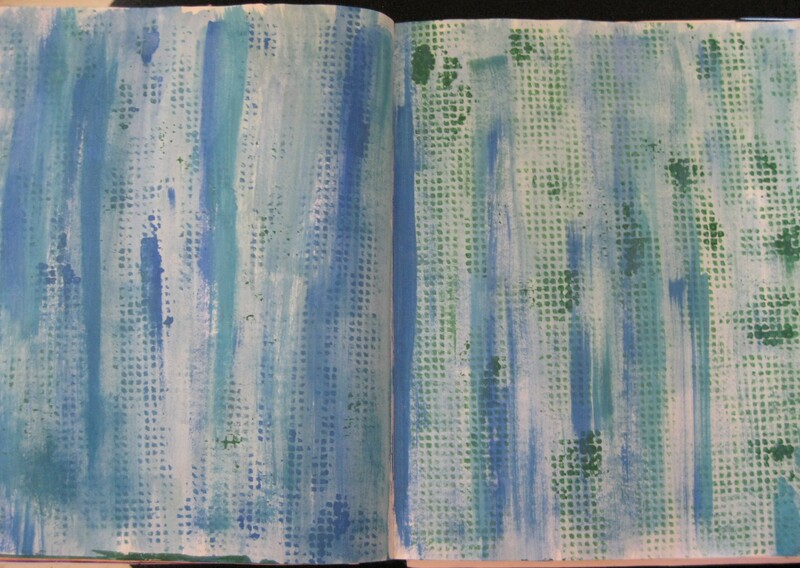 Day 31 of a series of daily prompts for written, visual, or art journalling, or just for pondering. For more background information, see the Intro pagehttps://catcharissage.com/2014/10/29/announcing-sixty-days-of-visual-journalling-prompts/, or this post on visual journalling: https://catcharissage.com/2014/07/12/talking-about-journals/.